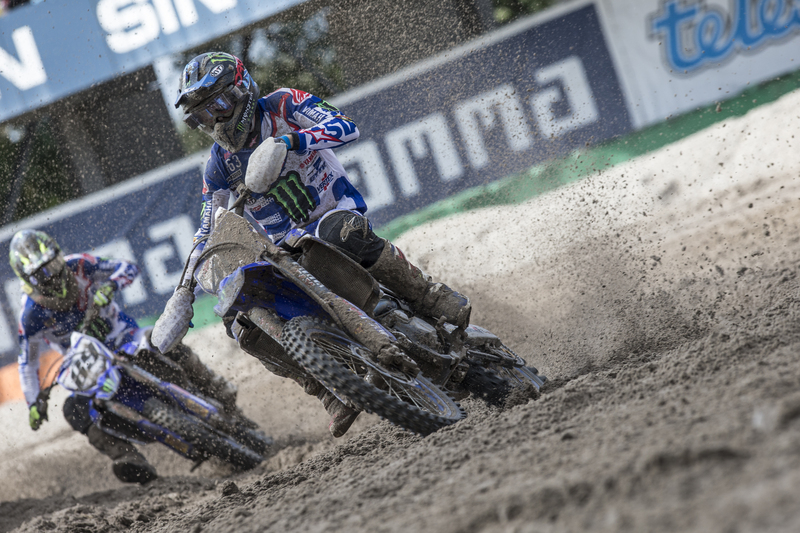 The MXGP of Pays de Montbéliard represents the nineteenth and final round of the FIM Motocross World Championship for Monster Energy Yamaha Factory Racing’s Romain Febvre and Jeremy Van Horebeek, and Wilvo Yamaha Official MXGP’s Shaun Simpson and Arnaud Tonus. This weekend Yamaha’s MXGP riders will be racing at a typical French style motocross track that sprawls the hills of Villars-sous-Ecot, in France. It is a place that resonates well with Romain Febvre as it is the circuit that saw him claim his first ever Grand Prix win in the premier class – back in 2015. The Frenchman has been gaining momentum throughout the season and landed on the second step of the podium, for the second time this year, at the MXGP of The Netherlands last weekend. He is currently sixth place in the provisional Championship Standings, only 6-points shy of the recently dethroned world champion Tim Gajser. A top-five finish in the championship classification is still possible. Since the title has already been won – by Antonio Cairoli last weekend at the Dutch TT Circuit of Assen – there is only pride to race for this weekend. All of the riders are reasonably safe in their current positions in the Championship Standings. Jeremy Van Horebeek is currently eighth having missed two and a half rounds of racing this year. He is not bothered by his position in the championship; he is only eager to finish the season strong, as is Shaun Simpson who is seventeenth after missing more than half of the season due to injuries. Wilvo Yamaha Official MXGP’s Arnaud Tonus has fully recovered from a broken rib and will make his highly anticipated return to action this weekend. He is currently twelfth in the Championship Standings. The first time the tight and compact circuit of Villars-sous-Ecot hosted a Grand Prix was back in 1982 where Belgian André Malherbe was the victor on that day. Four years later, 1986, the world championship returned where French hero Jacky Vimond took the honors onboard a Yamaha YZ250. Another round of the FIM 250cc Motocross World Championship took place a further 12-years on and was triumphed by Stefan Everts. In a season that has been fated by weather with almost every round being either wet or stifling hot, why would the final round be any different? Rain is forecast, which always makes the results something of a gamble. Gates will drop for the Qualifying Race at 17:10 on Saturday 15th of September, followed by two championship races on Sunday 16th of September. Race 1 will be at 14:15, Race 2 will be at 17:10.